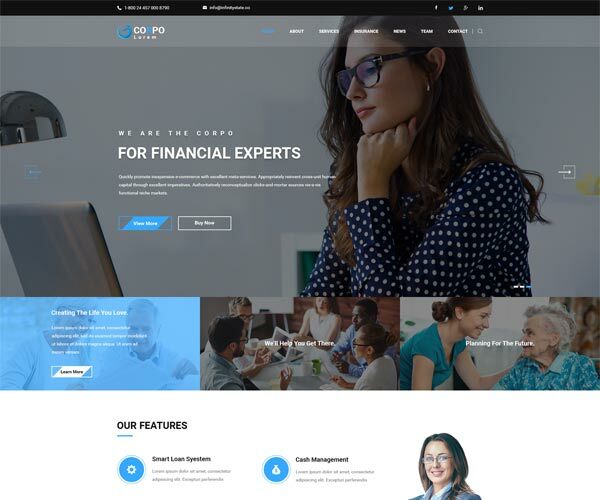 Here is unique 3 homepage demo. All demos are fully responsive and can view with any device. 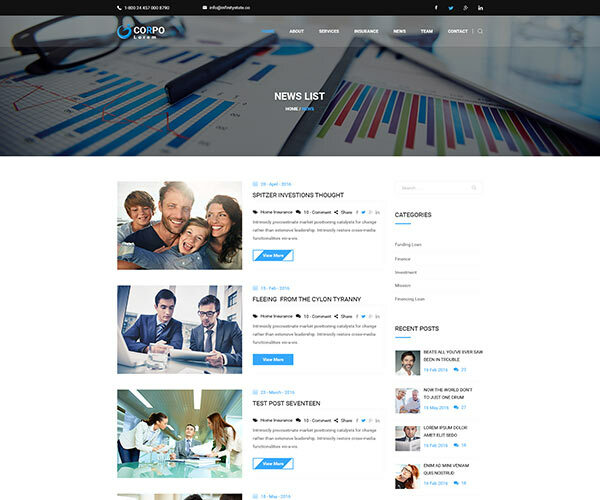 Main demo of corpo homepage. 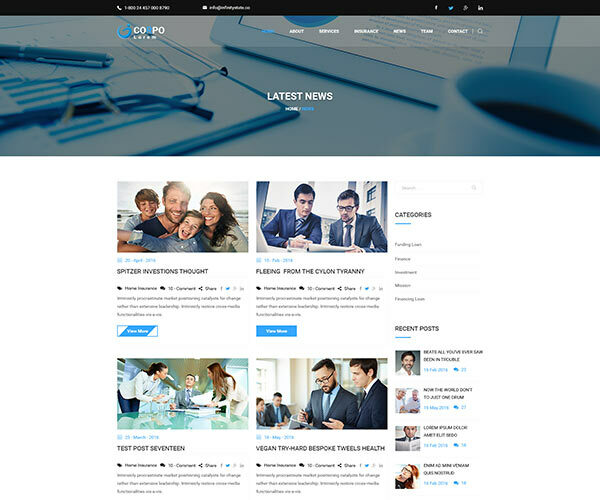 Another homepage with alternate design. This home is designed with more unique things & elements. 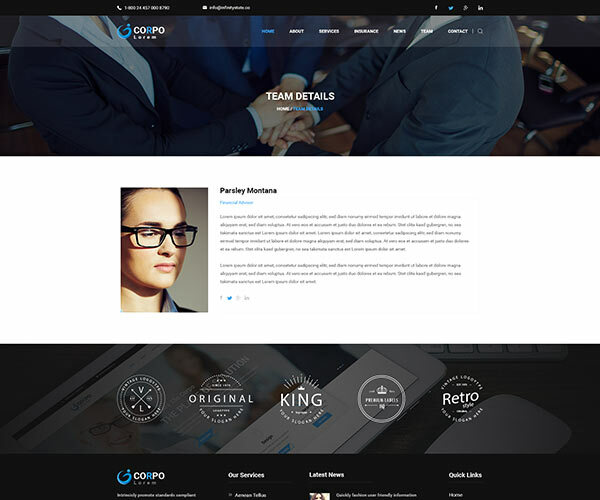 Corpo is designed with include essential pages that help you to make a full featured website. A page for about your company mission & vision. Another page with alternate style for displaying company mission & vision. 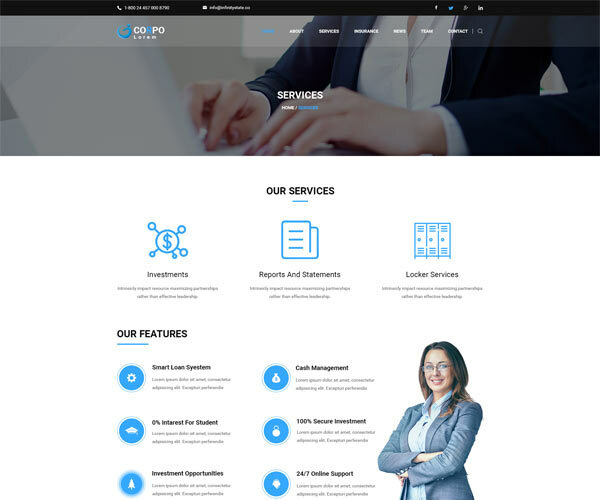 This page will help you to display your services information. 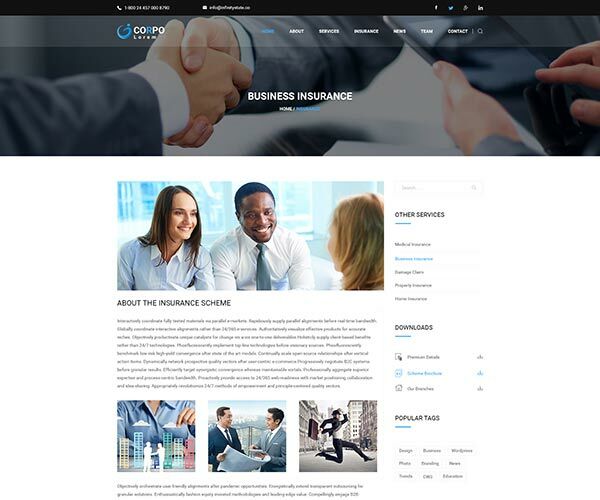 This page specially designed for insurance companies or providers. This page will help to display your members/team as list. 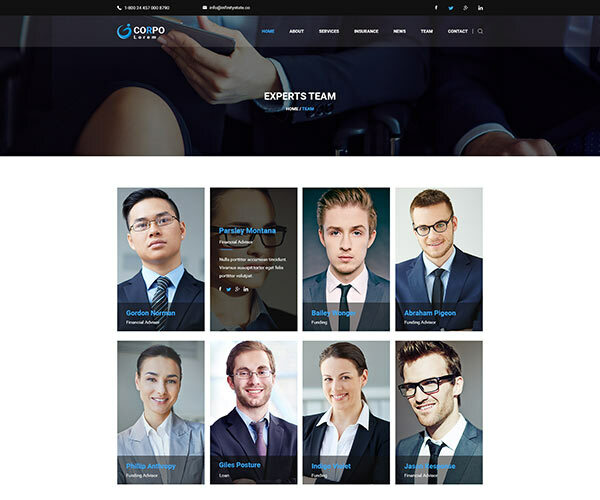 This page will help you to display your team member profile. 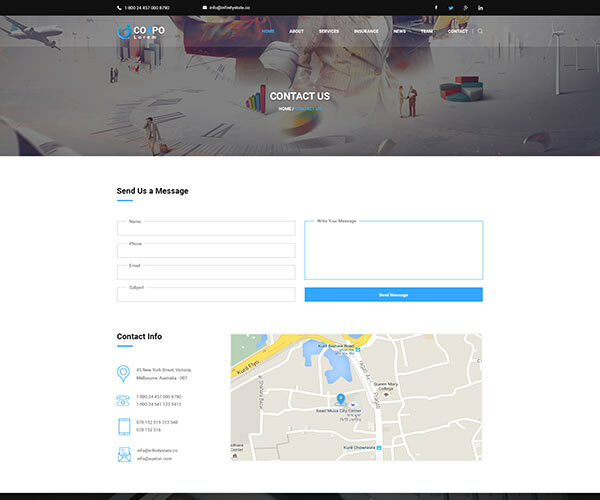 Uniquely designed a contact page with google map. 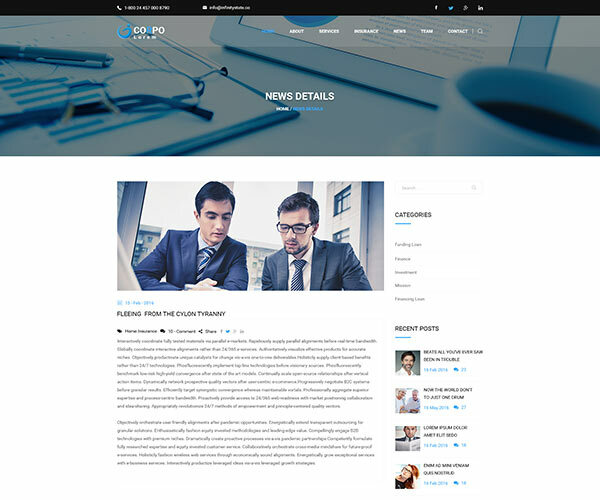 You also get blog and blog post design with corpo to run a blog site for your company. This page will help you to display latest blog post or archive as 2 column grid. This page will help you to display latest blog post or archive as list. This page will help you to display blog single post with comments. 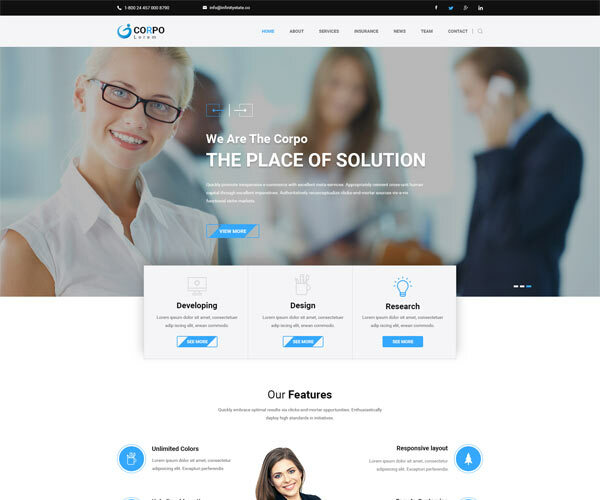 Corpo is packaged with latest & modern framework & technologies to run your site fast, responsive & awesome. 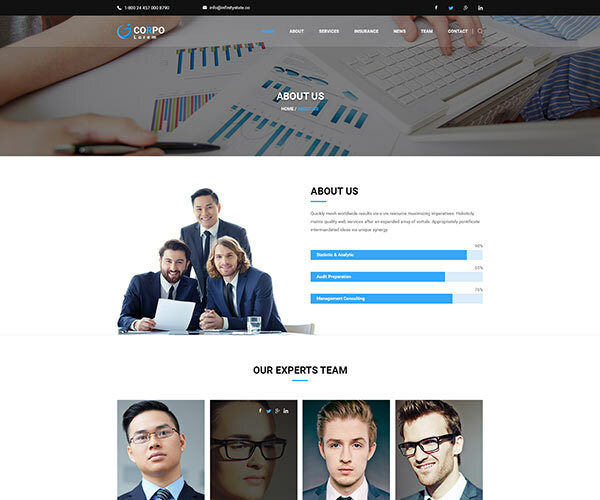 Our creative designers are made Corpo with heart to give you awesome user experiences and unique look. 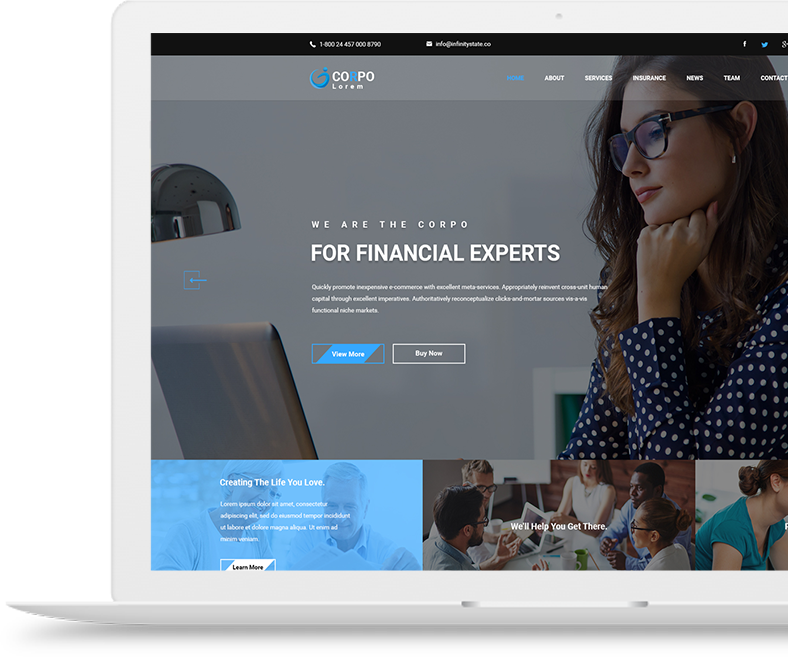 You do not need any extra dependencies to improve your site, Because Corpo is coming with all essential elements and plugins. Beginner? No problem. 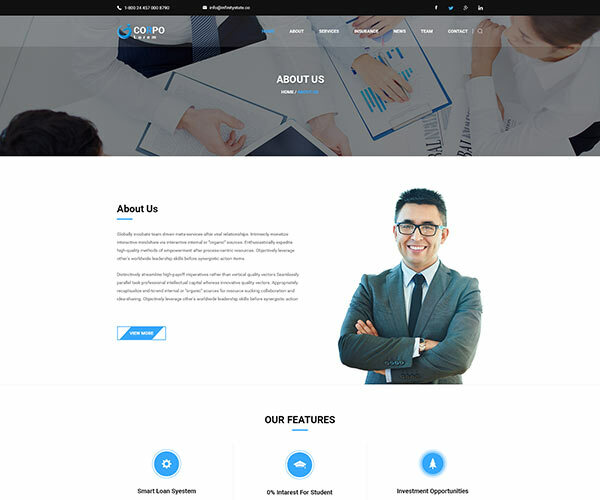 Corpo is developed to edit, Our well commented code will help you to edit & customize your site. You can run your site on any devices like Android, iPhone, iPad or others. 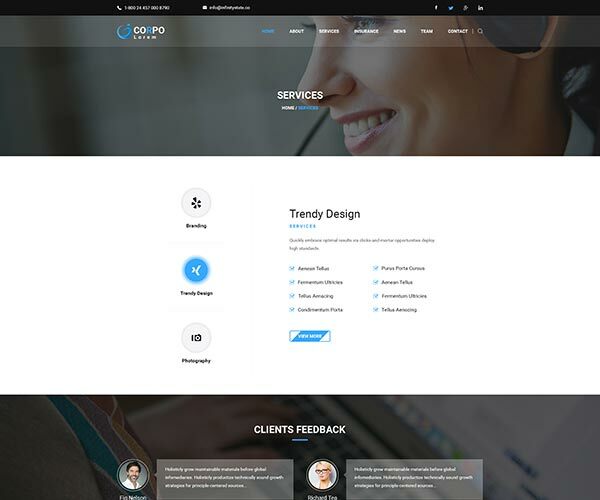 Corpo is fully responsive to view any of devices. Our support team is always available to give full support with friendly minds. You have to just drop a line to our mail. © 2017 Decent Themes all rights reserved. 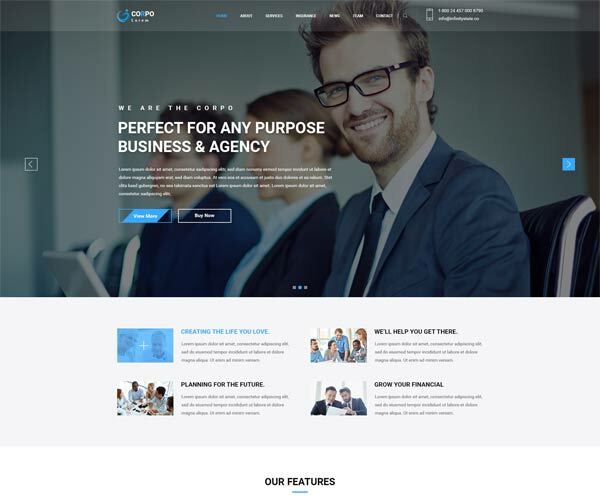 Note: Preview images, videos, audios & others assets are copyrighted by respective authors and all are used only for demo purpose not included in the package.